"Buy a house" everyone said, "it'll be easy" they said.... the first house fell through. "The first time never works out" they all claimed, "the second one will be much easier" they proclaimed again. Well after 18 months of searching, fielding estate agents calls, crying, believing we were never going to be able to buy a house it finally happened! 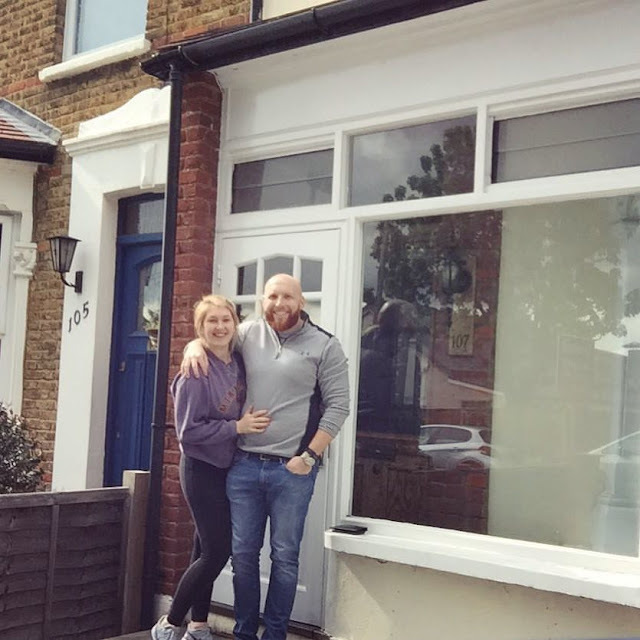 Nick and I are now the proud owners of a beautiful 1900's terrace house in Eltham (near-ish Blackheath is the suffix that comes with the place name). I haven't really used this blog for well over a year now having been kept occupied by work, rehearsals, family, friends and life in general however I've suddenly found myself with 6 weeks break between jobs so thought I would start blogging about Nick and I's new house adventure! 2) where possible NEVER attempt to purchase a house in a chain. It is a long, long, long messy process and should be avoided where possible. 3) everyone will tell you that you're in a strong position and the sort of buyer every vendor is looking for - this does not mean you will get thousands of pounds of the asking price, if anything it means you're pushed around and bullied because estate agents don't think you know what you're doing. Stand your ground and stand up to those bloody irritating but unfortunately necessary estate agents. Over the next few weeks I'm going to keep a track of all of our adventures as we start to create our first home!